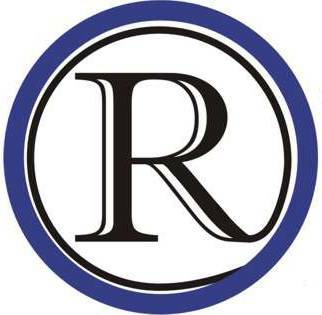 Enter your email address to receive emails of the latest local news articles on RaytownOnline.com. On Friday afternoon November 18, 2016, Mark Loughry – Interim City Administrator and City Finance Director, submitted his resignation effective December 22, 2016. Mr. Loughry has accepted a position as a County Administrator in the State of Kansas. The City of Raytown appreciates his service to our community and wishes him well in his new role. Mr. Loughry’s resignation letter is below. RaytownOnline note, the letter below was converted to text from an image by our OCR software and it may have introduced typos that were not in the original. Some were corrected, but some may have been missed. First and foremost I want to take this opportunity to say what a blessing the City of Raytown has been to me and my family. The past five years have not always been easy but they have been fulfilling. I have had opportunities here to establish friendships that I know will follow me for a long time. I also know my career here has given me the chance to improve myself in a way that would not have happened anywhere else. Second I want to thank all of the staff that have been supportive and willing to work towards a common goal of making this a great place to work and Raytown a great place to live. Over the past five years and more specifically the last few months I have really started to see a change in attitude of some of the staff. I know I have been excited to come to work and I have seen that in others as well. Just this week I had an employee tell me they were excited to see the progress we have made this past year. We are putting into place changes today that will continue to impact this community, for the better, for years to come. Changes to our Codes that will make it easier to clean up problem areas in the community. Changes to auxiliary services that will improve our ability to maintain core services without new fees or taxes. Changes to employee benefits that keep the City competitive with surrounding communities and immediately impact our employees for the better. All of these coupled together will result in the most important change, the ability for our citizens to see an improved quality of life. Lastly I want to acknowledge how the current Board of Aldermen have worked with me over the past few months during what could have been a very challenging transition. The City lost several key staff members that had been with the City for a long time. The challenges created by that could have been nearly insurmountable, instead through cooperation with the Board and staff it has been a relatively smooth process to this point. Even with some of the outside detractors it is clear to me that the Board, without exception, truly has a common goal of doing what is best for Raytown. All of these things make my decision to resign one of the most difficult things I have had to do. Over the past few days the Leavenworth County Commission has been in contact with me about an opening they have for what is their equivalent of a County Administrator. While it was an extremely difficult decision for me it is one that I feel is best for me and my family. I will be closer to home, will no longer have night meetings and have the unanimous support of the Commission as their preferred candidate. This is not a position I sought out but it is one that feels like a good fit for me. With that I thank all of you and plan on December 22′” being my last day with the City.